Despite having visited Sevilla 3x, I had no idea there was an observation deck! More reason to return to Sevilla! Thanks a lot Lauren! You take some very nice pictures too -I particularly liked the London ones at night (awesome lights). Well, next time you come over (despite it’s a loooong way from Vitoria), you know where to go first. Sandra recently posted..Semana Santa dates – When does Easter (Holy Week) take place in Seville? 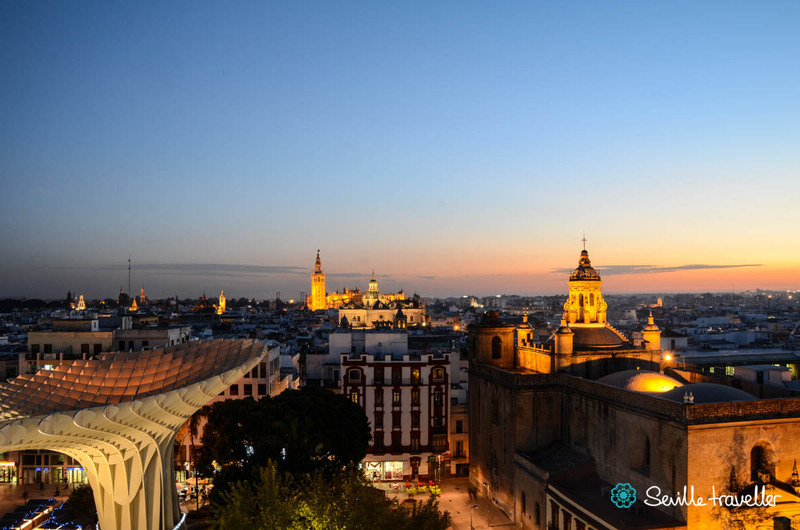 I ascended Las Setas on a trip to Sevilla last fall–it was terrific to be rewarded with that amazing view after wandering around the (lower level of) the city. Now if only we’d been able to visit on a cloudless night instead of an overcast day! Thanks Cassandra! I believe the views are jaw-dropping whether the day is clear or not. Still, you now have an excuse to come back and go to the Setas again. Aaaaa I completely forgot I would be arriving in Sevilla at the BLUE HOUR! Totally going to the Setas first thing. Beautiful picture and great view!